ADVANCE ONLINE TICKET PURCHASE IS REQUIRED AS A FIRST STEP TOWARDS RESERVING YOUR TABLE. Please have your tickets purchased prior to emailing regarding a reservation, also please add your order number in the subject line for an expedited process. Reserved Tables MUST be sat by 9pm. On weekends, doors open at 8pm and Monday thru Thurs, the doors open is at 7 PM depending on the event. Friday doors are at 5 PM for Hapy Hour. Door cover is separate and should be purchased online prior to making reservation or at the time of making reservation to ensure entrance. OPTION 1: A Table reservation that seats up to four guests. $100 minimum (towards bar beverages) + 20% gratuity added at close of bill. The picture above shows how our tables are lined up and how seating is two booth side and two stool side. ID and Credit Card required to start tab with your cocktail server. OPTION 2: A Table reservation that seats up to two guests (not pictured, these seats are where the photographer is standing to take this picture, tables are slightly raised to increase view of stage) $50/minimum (towards bar beverages) + 20%gratuity added at close of bill. ID and Credit Card required to start tab with your cocktail server. OPTION 3: Arrive at 8pm and grab any unreserved tables. two drink minimum per person. Cancellation policy: We do not offer refunds on any tickets purchased. All sales are final. Important Information: Sunday nights burlesque performance, “Toledo Show” gets very busy and reaches capacity quickly, we allow a “standing room” this can cause a blockage of view of some parts of the show/stage. Please understand this before agreeing to reserve a table, as there are no refunds once sat. 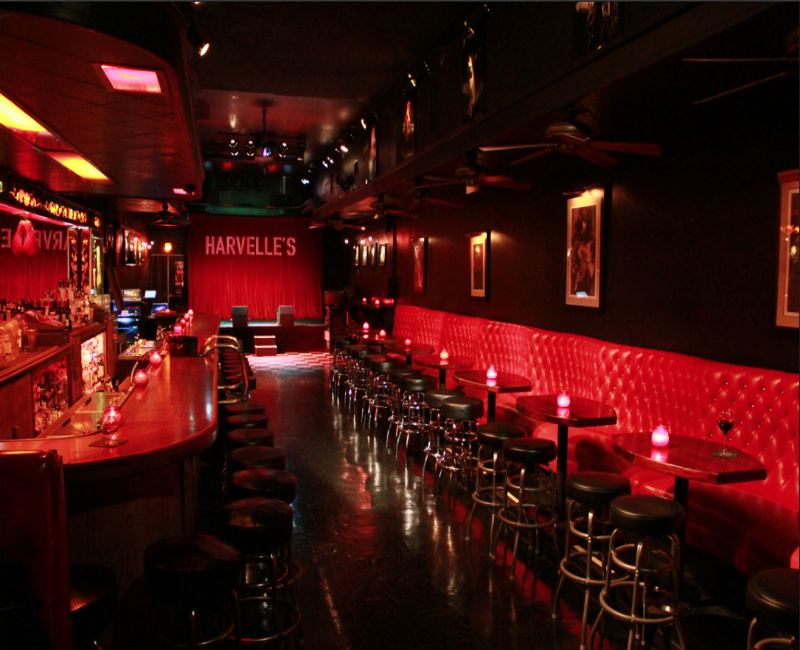 EMAIL damian@harvelles.com to book your table reservation. *Same day reservations are possible but not gauranteed. **Harvelle's Santa Monice currently does not honor discounted ticket site vouchers. If you're looking for places to stay in Santa Monica, check out HotelsCombined.